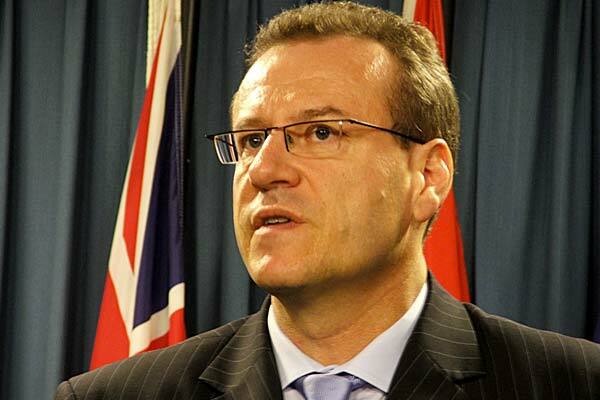 In August 2011, Borys Wrzesnewskyj, Member of Parliament, Etobicoke Centre, owner of Future Bakery and M-C Dairy and respected community leader in Toronto’s Ukrainian-Canadian community, was introduced as the new Senior Fellow of Development for UCEF. On November 12, 2011, Mr. Wrzesnewskyj announced a $1.2 million donation by James Temerty and at the same time made a $100,000 gift on behalf of the Wrzesnewskyj family. The Ukrainian Catholic University and Ukrainian Catholic Education Foundation are grateful for the hard work and tireless efforts of Mr. Wrzesnewskyj and his generous support of the university.